(by James MacPherson for the Associated Press at BismarkTribune) BISMARCK, N.D. — Republican Gov. 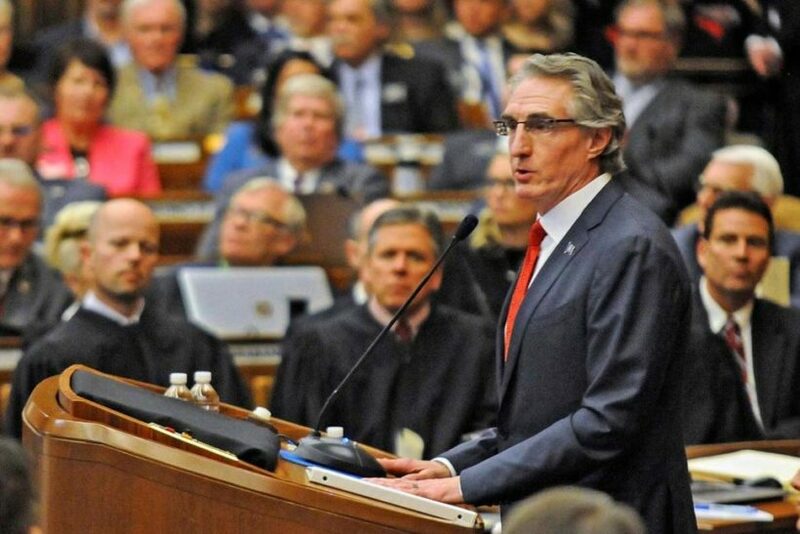 Doug Burgum has signed legislation that will allow most adults to carry a hidden firearm without a permit, making North Dakota one of about a dozen “constitutional carry” states. The bill (ND House Bill 1169) signed into law late Thursday will allow law-abiding people 18 and older to forgo background checks and classes that are now required. The legislation only requires someone carrying a concealed weapon to have a valid ID and notify law enforcement of the weapon during instances such as a traffic stop. The legislation comes into force Aug. 1. Burgum, who is an avid hunter, urged anyone pondering carrying a concealed firearm to enroll in gun safety classes. The law sailed through both houses of the GOP-led Legislature, with dissention largely among Democrats. Supporters said the bill promotes the constitutional right to bear arms and allows protection from criminals. Critics [claim] it could lead to more shootings as people with less training would be carrying weapons. Carrying a hidden firearm without a permit is currently a misdemeanor, punishable by up to 30 days in jail and a fine of up to $1,500. The bill was among a package of gun-rights measures being considered this session, including allowing people with concealed carry permits to have guns in churches, schools and other public places. It’s unclear if Burgum will also sign those into law. The number of concealed carry permits in North Dakota has more than doubled in the past five years to 48,700. North Dakota residents already can get a concealed carry permit by completing an hour-long class and passing an open-book test. The classes cost about $50. An enhanced license, that allows reciprocity with other states, requires firearms training and the open-book test. The South Dakota Legislature this month approved a similar measure but GOP Gov. Dennis Daugaard vetoed it, saying his state’s gun laws are already reasonable. 2. What does the bill allow for? 3. When will the law come into effect? 4. a) What does “constitutional carry” mean? 5. a) What is the population of North Dakota? b) How many residents of North Dakota have concealed carry permits? CHALLENGE: A person must be 18 to obtain a concealed carry permit in North Dakota. 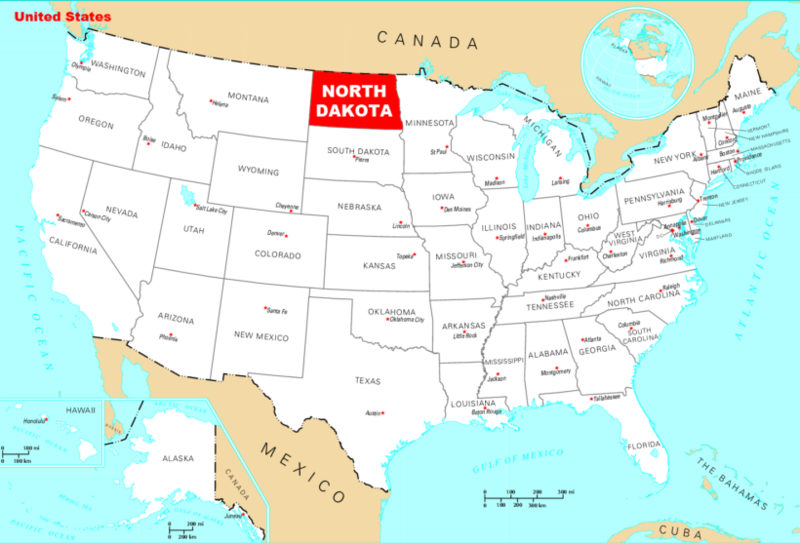 How many people in North Dakota are over the age of 18? What percent of the eligible population currently have concealed carry permits? 6. What information from this article would lead you to believe that a large majority of North Dakotans support the constitutional carry law? 7. For what reasons do people support or oppose the law? 8. Read the press release from Governor Burgum’s official website. What do you think of Gov. Burgum’s suggestions from paragraphs 6-7? (Agree, disagree?) Explain your answer. The term constitutional carry is a newer term for the legal carrying of a handgun, both openly and concealed, without the requirement of a government permit. The phrase does not typically refer to the unrestricted carrying of a long gun, a knife, or other weapons. The scope and applicability of such laws or proposed legislation can vary from state to state.